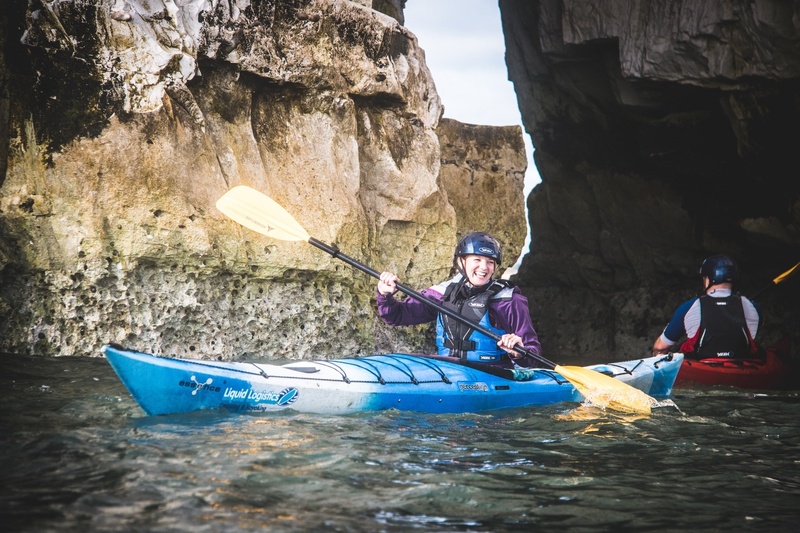 Learn all about sea kayaking while paddling along the stunning South Coast. Picking up the basic Sea Kayaking skills and safety, you’ll feel confident heading out to enjoy adventures on the open sea with other like minded paddlers. On this trip you’ll undertake a journey along the Hampshire or Dorset coast where there will be many opportunities for coaching and relaxing. Most days are based out of the Poole area, Poole Harbour or Old Harry Rocks, your coach will be in touch the week beforehand with a more accurate starting location when they have a better idea on the weather for the day. We do recommend that you have some experience (3 hour introduction) as a full day can be a lot of activity for the complete beginner. If you are very confident and comfortable around the sea, contact us to discuss the suitability of our explorer sea days or 2 day sea courses. We recommend that you have a little bit of experience sitting in a kayak so you’re prepared for the day. This can be gained on a 3 hour intro course in Hampshire. We supply all paddling equipment you’ll need for a great day on the sea. On the day we’ll go through; Basic planning & route choices, Journeying in sea kayaks, Sea kayak handling technique and more.